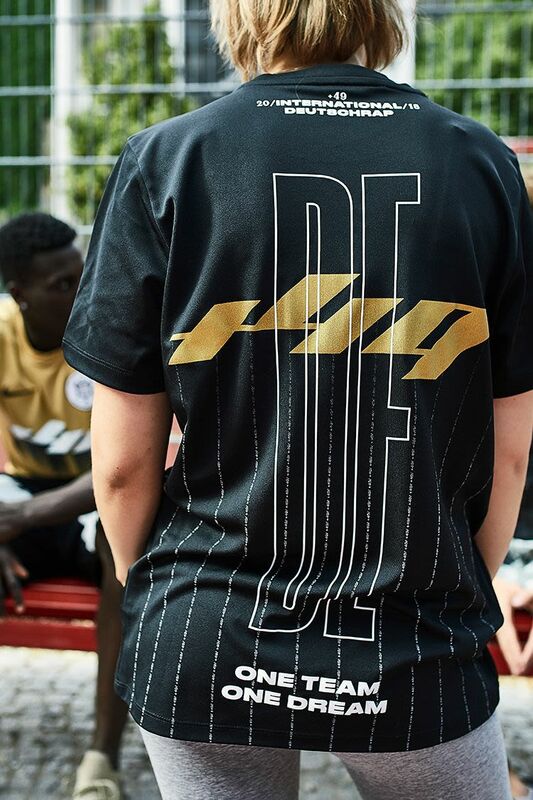 Rock the International Deutschrap Football Shirt—and represent German hip-hop culture to the fullest. 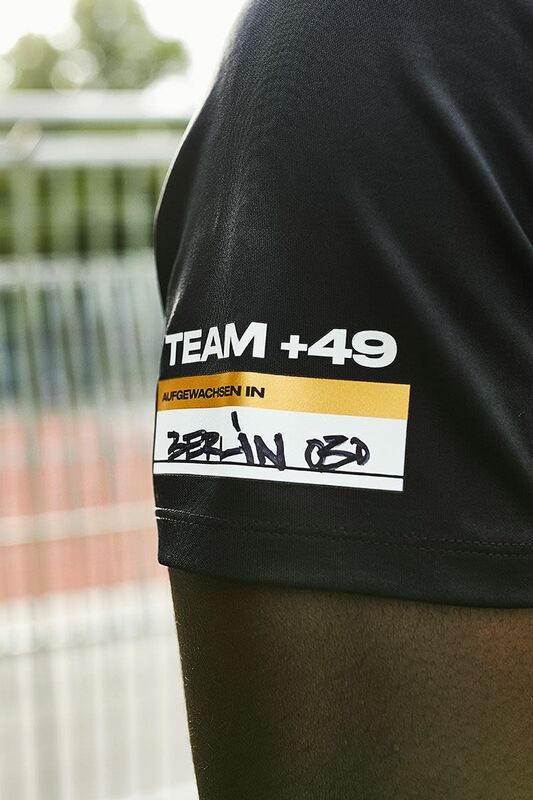 International Deutschrap is more than just music. 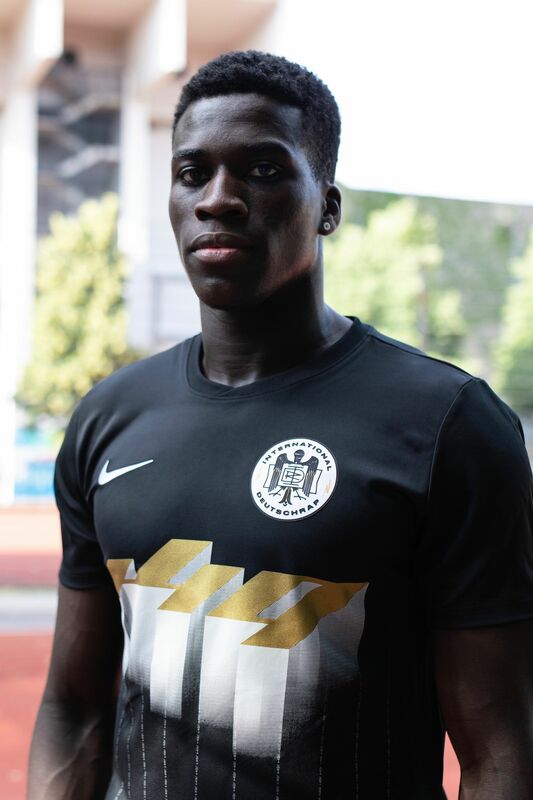 It's a youth movement born in one country but followed across continents. 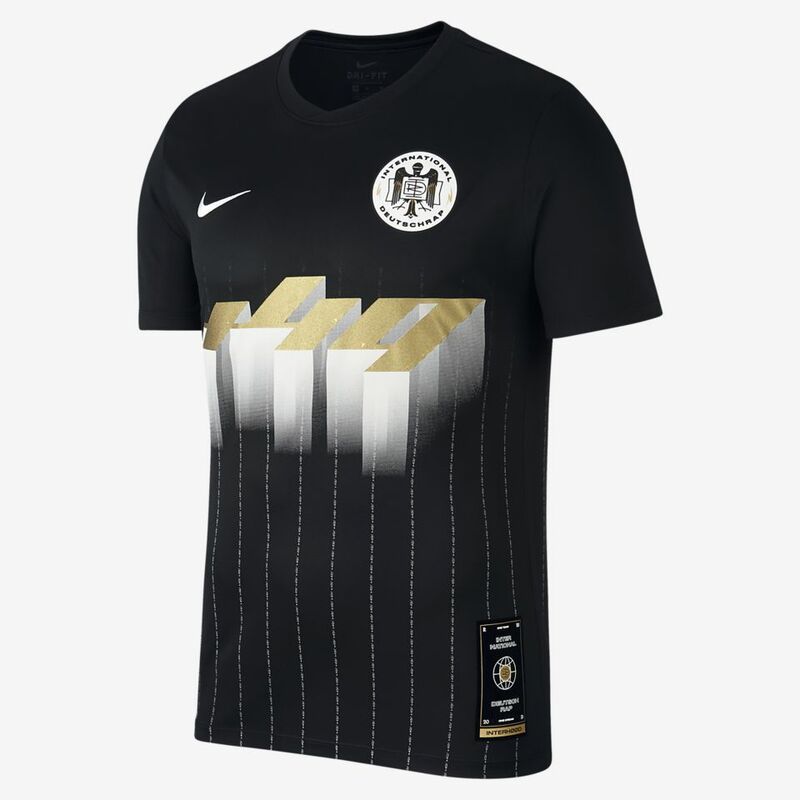 The shirt’s design represents this with an oversized +49—the German country code—as the focal point across the chest. 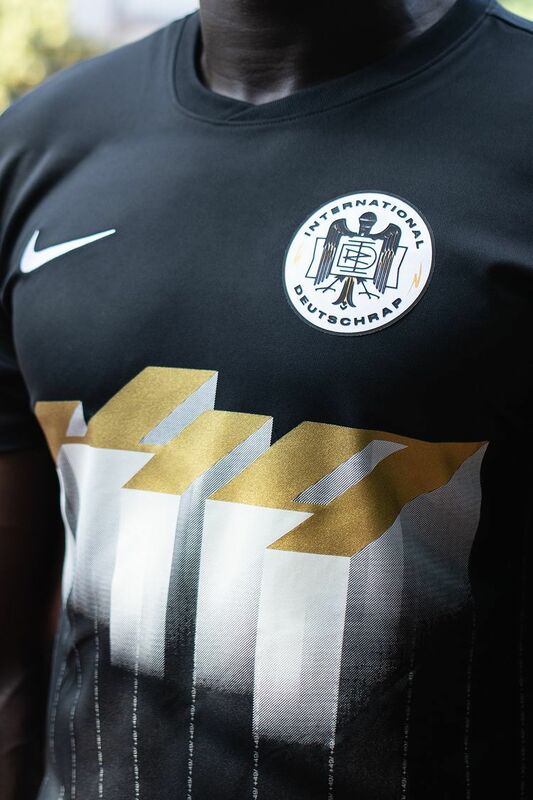 On one sleeve, there’s a customisable patch to add the city you represent. 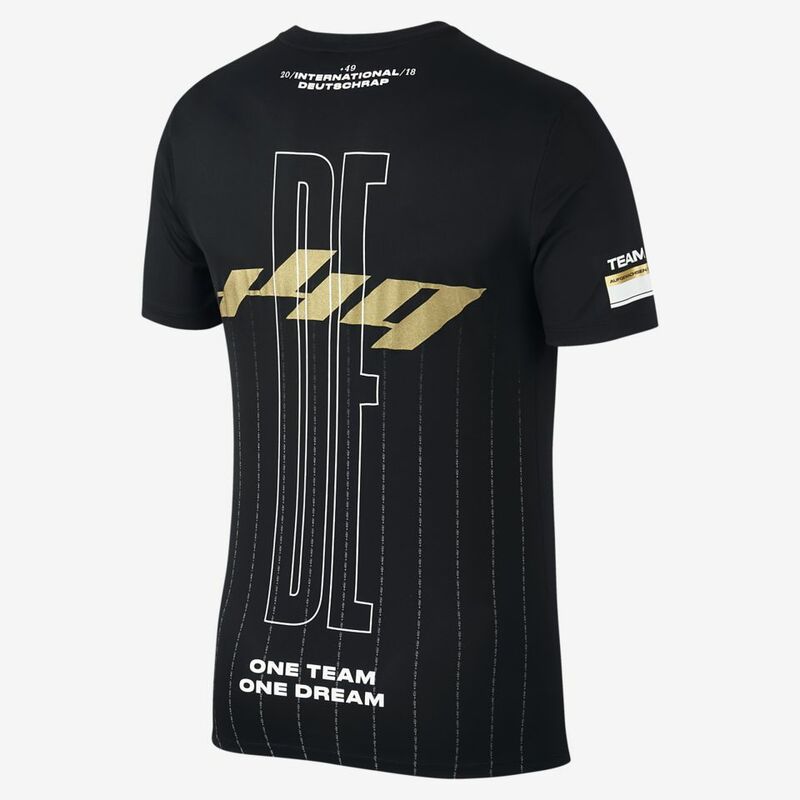 Across the lower back, the maxim "ONE TEAM, ONE DREAM" embodies the spirit of the upcoming summer of football. International Deutschrap brings people together. Its attitude, beats and rhymes unites a worldwide crew of hip-hop fans. Sample the very best of the genre here.